INSTANT ONLINE ACCESS ...TO PURCHASE and ACCESS IMMEDIATELY (or setup for later use), click on the orange link near the PRICE above. 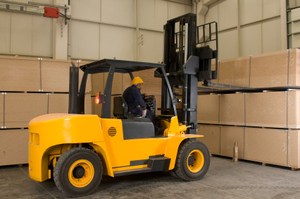 A complete forklift - standard training instructor "tool kit" for teaching lift truck operation or for refresher training of experienced operators. Provides instructors who don’t have time to develop their own equipment operation and safety training programs, a comprehensive training presentation and a complete set of learner materials. This instructor kit applies to warehouses, municipalities, mines and quarries and general construction - basically, any entity that owns this equipment. It covers a wide variety of machine brands and working conditions.